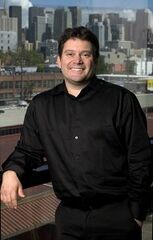 Simon Jeffery was president of Sega of America from 2005 to 2009. Prior to joining Sega he was president of LucasArts, and had worked in a number of marketing, business and development roles for Virgin Interactive and Electronic Arts. In mid-June 2009, it was announced that Simon Jeffery would be leaving Sega. He was replaced with Sega Europe's Chief Operating Officer, Mike Hayes.